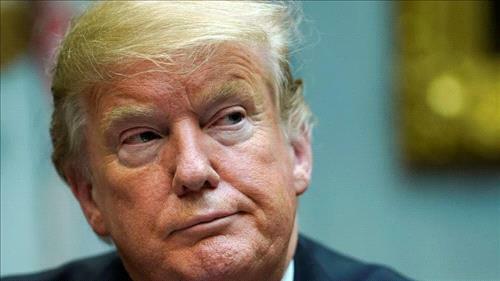 AMMONNEWS - President Donald Trump on Wednesday called US intelligence chiefs “extremely passive and naive” on Iran and dismissed their assessments of the threat posed by North Korea a day after they contradicted his views during congressional testimony. Leaders of the US intelligence community told a Senate committee on Tuesday that the nuclear threat from North Korea persists and that Iran is not taking steps toward making a nuclear bomb, conclusions that contrasted starkly with Trump’s assessments of those countries. “The Intelligence people seem to be extremely passive and naive when it comes to the dangers of Iran. They are wrong!” Trump, whose has criticized US intelligence agencies starting even before he took office, said in a Twitter post. “Perhaps Intelligence should go back to school!” Trump said. Trump last year pulled out of an international nuclear deal with Iran put in place under his Democratic predecessor Barack Obama, saying Tehran was “not living up to the spirit” of the agreement, and re-imposed sanctions. Under the 2015 deal, Iran agreed to restrictions on its nuclear activities in exchange for the lifting of sanctions. The US intelligence officials told the Senate Intelligence Committee that Iran was not developing nuclear weapons in violation of agreement. Their assessments also broke with other assertions by Trump, including on the threat posed by Russia to US elections, the threat that the Islamic State militant group poses in Syria and North Korea’s commitment to denuclearize.